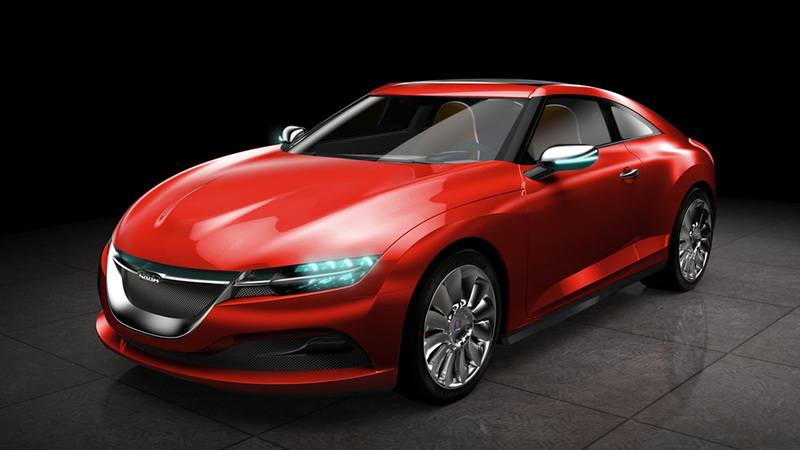 The Saab Phoenix concept car made its first appearance at the 2011 Geneva Motor Show. The design language was very different from the established models and previous concept cars that were made in Trollhattan. 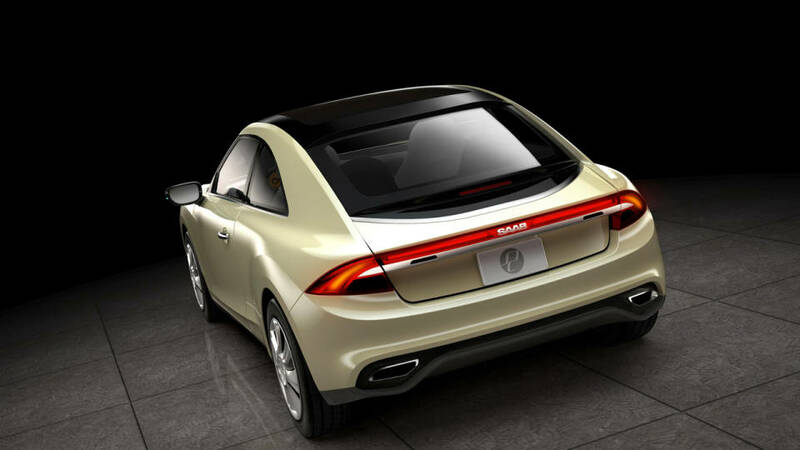 Victor Muller and Jason Castriota certainly had a different view on the design direction Saab should be heading for. Some could not get used to this but others thought some fresh designs were the best way to go forward. 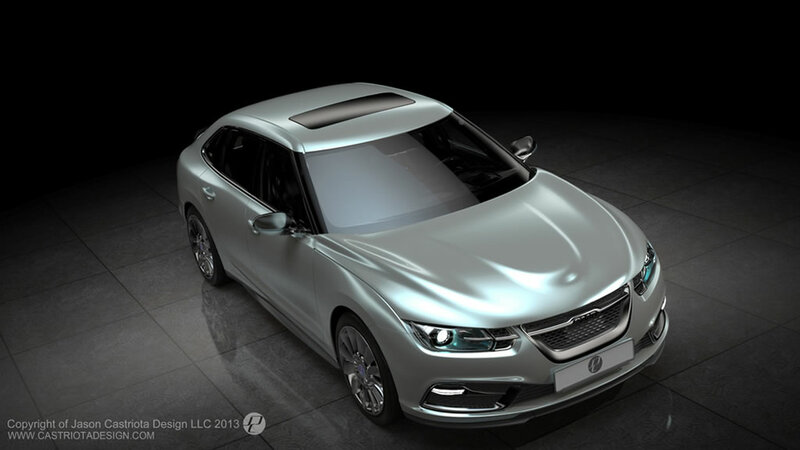 At the same time, Castriota was also working on new designs for the Saab 9-3 and a new compact Saab 9-1. There probably were not any immediate plans to re-introduce a brand new Saab Sonett sports car but these images certainly show a sleek coupe that would be worth waiting for. 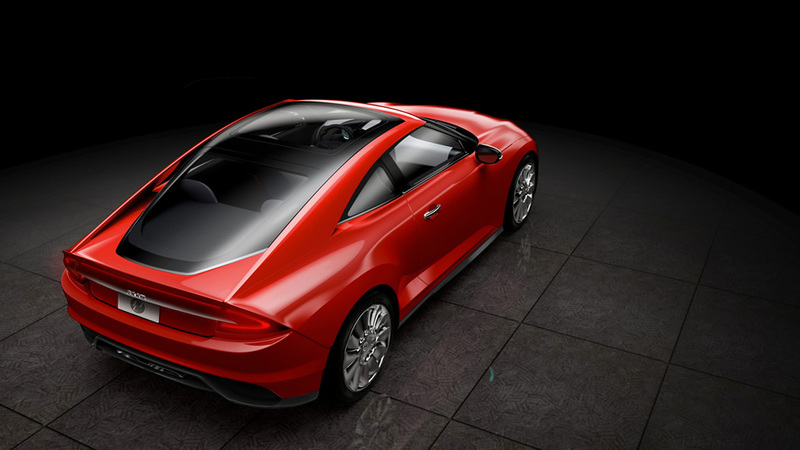 These cars were all going to be based on the Phoenix platform which could accommodate the smallest 9-1 up to a large size 9-7 executive sedan that would be similar in size to an Audi A8. Sharing a platform with so many models obviously would provide for significant cost-savings in design, engineering and manufacturing. 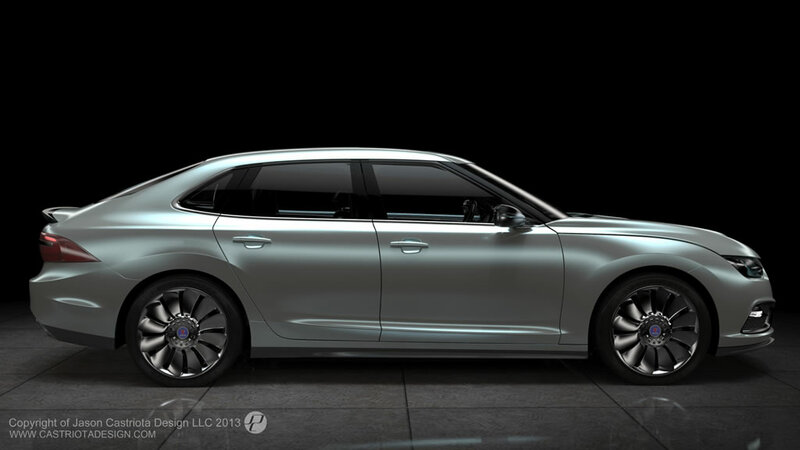 The new Phoenix platform would have a longer wheelbase and a shorter front and rear overhang compared to previous Saabs. 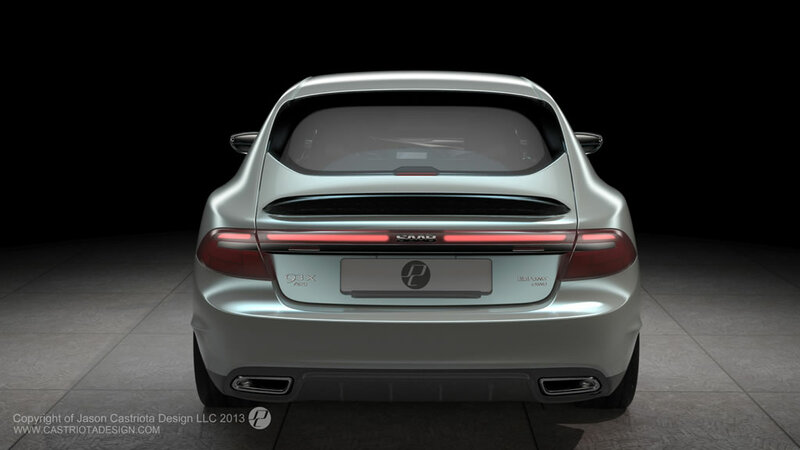 Flexibility in the engine bay was also important because Saab Automobile was working with different engine suppliers. 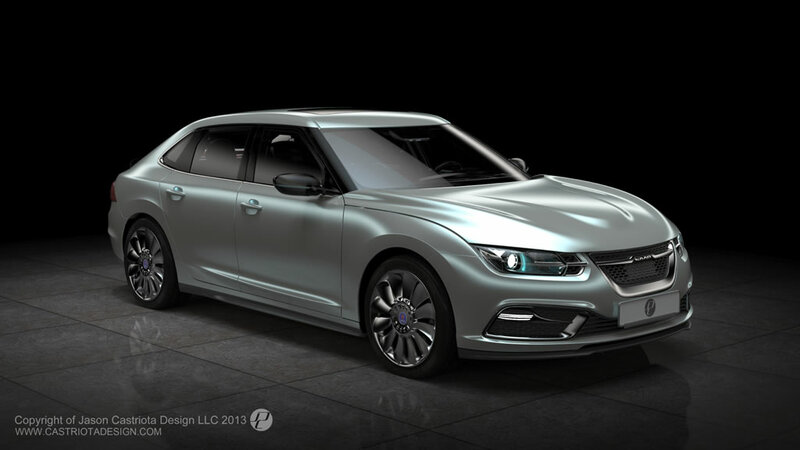 Saab was going to work with BMW at the time and I think many Saab enthusiasts couldn’t have hoped for a better partner after many years of engines based on GM designs. 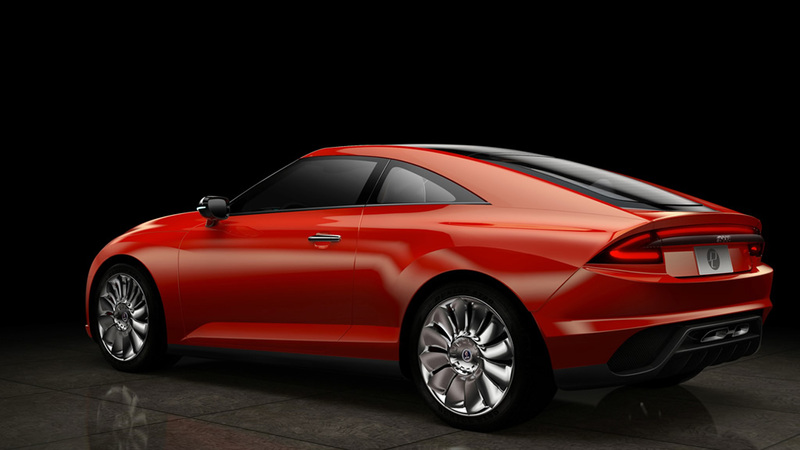 These new Castriota designs were a combination of the Aero X concept introduced in 2005 and the Phoenix concept in 2011. The smaller cars like the 9-1 and 9-3 would target a younger audience and were leaning more towards the Phoenix. The larger cars like the 9-5 and possible 9-7 were going to be marketed to a more mature audience and showed the design language of the Aero X. 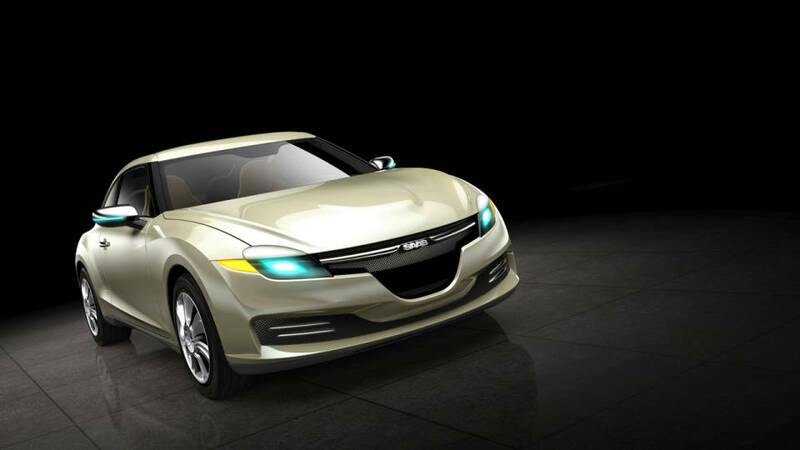 The new generation Saab 9-5 was introduced for model year 2010 so there were not any designs for future models of these cars. 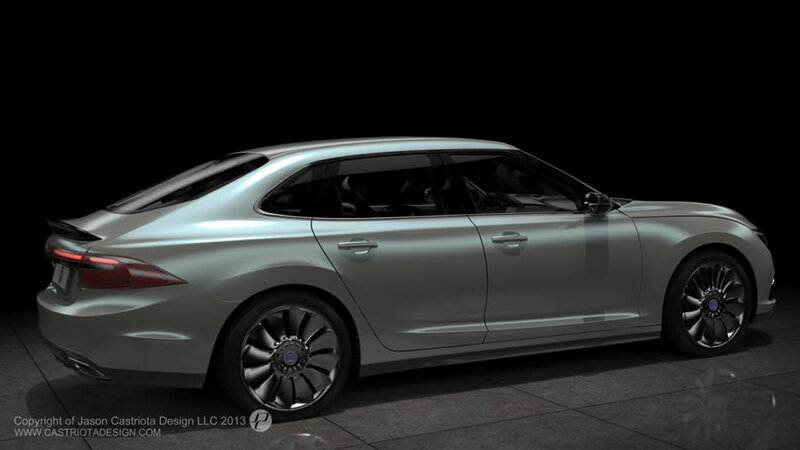 The 9-3 would have a hatchback version, going back to its roots and aiming to make real Saabs again. After the introduction of the second generation 9-3, Saab did not have a car with a hatch anymore, something that was dearly missed in their line-up (not counting the 9-7X and 9-4X). The 9-3 was going to be based on the new 9-5 but with a more aggressive front-end. A drag coefficient of 0.26 would have been exceptional in its class, something Saab is well known for and goes all the way back to the UrSaab. And then there was the new Sonett.. This was going to be the production version of the Phoenix concept and would basically be a two-seater with a small rear seat. This car was going to be slightly larger than an Audi TT and planned engine power was going to be 400hp! Every brand needs a halo car in their line-up, important for customers to notice the brand and get them into the showroom. But the plan was to offer it a price that would be attainable for most enthusiasts. It is sad to look back to the things that could have been before the company went belly-up in 2011. Perhaps if there was only a little more time and money, Saab could have become a viable manufacturer of real Saab-Saabs again. But for now, we are left with these design images and can only dream of what could have been. I really liked the looks of the Phoenix concept car. When I visited the Saab museum in Trolhattan last summer, I had hoped to take a look at it. It is not in the museum. I browsed the internet as I remember having seen the concept car with some damage because of transport. I did not find any trace of the car. Does anyone know where the car is, if it still exists and who owns it? It would really be nice if it would spend it’s time in the Saab museum.